One of the best things about our (not so) recent trip was the amount of reading I was able to squeeze in. Unfortunately, reading for pleasure seems to have virtually disappeared from my everyday life. Sometimes I have to force myself to read just so I can share the Distant Francophile book reviews! But while we were away plane travel, train trips and lazy mornings allowed me to catch up on a stack of reading. One book I’d been desperate to read was Janice MacLeod’s memoir Paris Letters. The premise seemed like a modern day fairy-tale. Independent woman gets herself out of debt, completely changes her lifestyle, moves to Paris and falls in love. And I can tell you right here that the book didn’t disappoint. Title: Paris Letters. 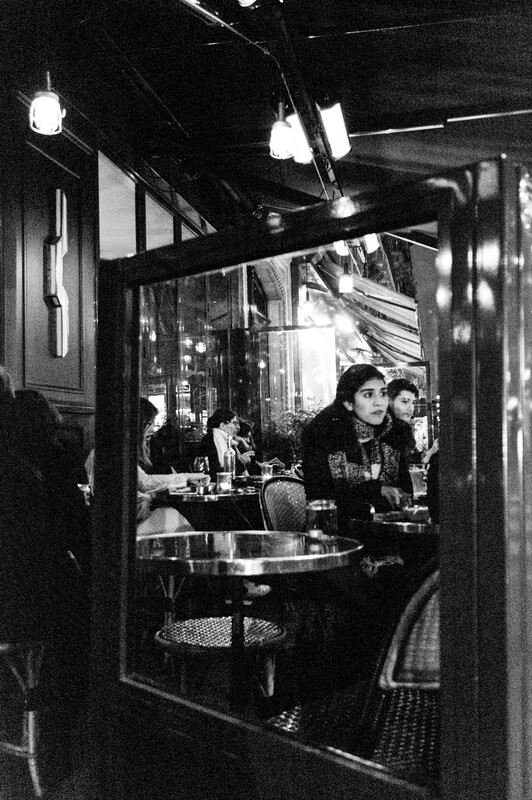 One woman’s journey from the fast lane to a slow stroll in Paris. Published: 2014, E-book, 272 pages. The set up of the love story that is at the soul of this book. You know that Janice has arrived in Paris and has fallen in love. You also know that she hasn’t actually spoken to this man she is supposedly in love with. This positioning immediately had me turning page after page to discover how she’d made her way to Paris and, naturally, what happened next. The appreciation the reader receives for Janice’s popular ‘Paris Letters’ concept. I love learning about how clever, entrepreneurial and creative people engage with the world. The way Janice uses Paris as the back drop to her story. Sometimes, I felt just like I was right there. The tips on how Janice saved her money to fund her life change. The extra detail helps the reader understand exactly the lengths Janice went to in making good things happen. Some parts of the book were a little slow. I guess that happens with memoirs sometimes. My choice of format. I think I would have enjoyed this book even more in a paperback version (yes, l love paperbacks) but the E-book version was so much lighter to carry! The final point about this book that I have to share is that it was so heart-warming that it made me cry. Not howl mind you, just a few little tears. But those of you who know me well know that I’m not known for crying so for a book to elicit such an emotional reaction is a testament to this beautifully shared story. Have you read Paris Letters? What did you think of it? I’d love for you to share your thoughts in the comments below. Please note: This is an unsolicited post and no compensation of any kind has been received from Janice MacLeod-Lik or the associated publishers.